One of the things that amazes me about independent bookshops is the places where I find them. I'm not talking extreme locations such as mountain tops (although I wouldn't be surprised if there was one somewhere), but out of the way, or hidden, so only the most dedicated of bookshoppers can find them. Quinns Bookshop in Market Harborough, Leicestershire, is one such destination. 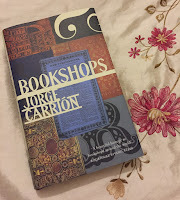 Ahead of my trip to the market town, I'd run an internet search and seen there might be an independent bookshop in the area, but related web activity was minimal so I was grateful when Twitter provided the same name as a recommendation. I noted its High Street address and set off. Unfortunately, the Saturday of our visit coincided with a traditional English offering of wind and rain, which means I can't give you much of a description of the town itself because our priority was keeping warm and dry, but this – coupled with plans for later in the day meaning time was tight – meant we very nearly missed the bookshop. You see, I'd written down the address as High Street, I even checked Google Maps on my phone, but when we got to the road in question there was no bookshop to be seen. We crossed the road and looked again. Still nothing. Then I happened to look into a narrow alleyway, and there it was, a sign pointing the way. Next time I'll take more notice of the first line of an address. Walking down the alley between the shops, we soon came to small enclosed wilderness of a garden (I write this fondly), hidden within which were two stone rams and the door to the bookshop. It felt like finding the bookshop equivalent of The Secret Garden. Inside, the bookshop is surprisingly spacious and spread out, so I first made a beeline to the left, where the main room of books is found. Here I enjoyed a well-stocked mix of fiction and non-fiction, with a few titles from the science section particularly appealing to me. For a small market town, there was a large and varied offering. Carrying on around the shop, upstairs there's a gallery hosting (I believe) local artists, and younger visitors may be drawn to the corner dedicated to Games Workshop. Returning downstairs, further rooms offer more non-fiction, recommends, art materials and then a lovely, cheery children's room. There's easily something for the whole family here. 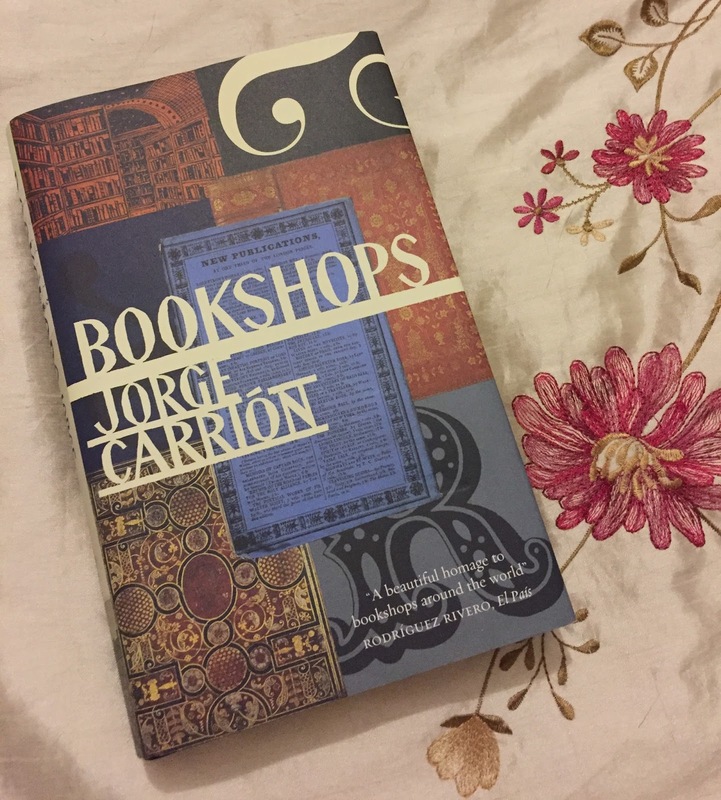 On my way back through these rooms I became distracted from my earlier purchase plans when I spotted Jorge Carrion's Bookshops, which looks like the ideal read to research even more bookshopping adventures. Quinns Bookshop isn't somewhere visitors to the town are going to easily find, but if you do visit Market Harborough I urge you to go on your own mini adventure and search out this bookshop.